Duct Cleaning Melbourne offers heating duct cleaning, ceiling and floor ducted heating system cleaning, air duct cleaning, central duct system cleaning, services in Melbourne. Our services include duct Sanitation and Deodorizing, CO2 testing, return vent cleaning and heater unit cleaning services. Our services extend to eastern, western, southern and northern suburbs across Melbourne. We use high-pressure air cleaning and powerful vacuum systems for cutting-edge duct cleaning services in different suburbs of Melbourne. You can get economical solutions for all duct related problems. Our trained cleaners are experts in duct cleaning, duct maintenance, duct repairs – in short, they are duct specialists. So if you got a duct problem, call us for an affordable solution! You can certainly try home duct cleaning on your own by watching a few online videos, but you definitely will not be able to handle the mess around while trying the DIYs. Additionally, you will not be able to clean the entire duct system perfectly. Whereas on the other hand, professional duct cleaners possess all the required tools and are trained to do the job to perfection. That’s why hiring the professionals for duct cleaning is the always the right thing to do. SK Duct Cleaning Melbourne offers complete full maintenance solutions for heating and air conditioning duct systems. Melbourne’s leading HVAC cleaning and restoration solution provider, SK Duct Cleaning boasts of over twenty years of experience. Let our knowledge and experience in duct cleaning help resolve your commercial as well as domestic duct related challenges. 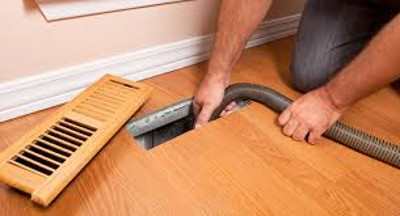 SK Duct Cleaning Melbourne offers duct cleaning at lowest possible prices in Melbourne without compromising the quality. We are your trusted professionals in duct cleaning.